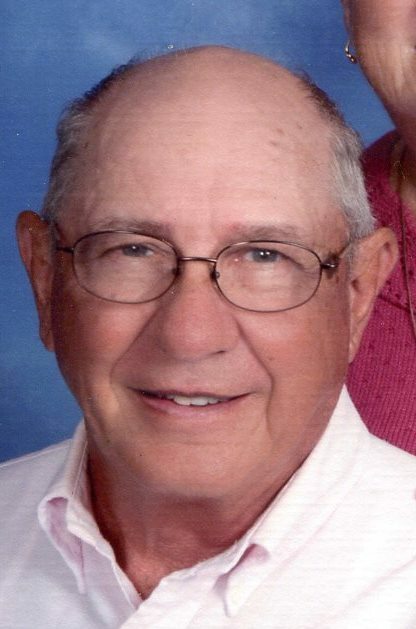 BLEISNER, William George – of Chesaning, went to be with his Lord on Friday, March 28, 2019 at Covenant Cooper in Saginaw. He was 81 years of age. Bill was born to Matthew and Mary (Brainerd) Bleisner on June 23, 1937 in Owosso. He was a resident of Chesaning his entire life. Bill was made a child of God on July 25, 1937 and confirmed on July 23, 1950. He was a 1956 graduate of Chesaning Union Schools. He was united in marriage to his love, Ruth Ann Canze on July 26, 1958. They enjoyed 60 years of wedded bliss. Bill enjoyed his children and especially those grandchildren. Bill worked as a Maintenance Man for the Chesaning Union Schools for 29 years. He worked his 40-acre farm and was always puttering around in his tool shed and barn or mowing the grass. As a member of Zion Evangelical Lutheran Church in Chesaning he held many positions and was always fixing or cleaning something. Ruth and Bill especially enjoyed camping in their retirement years with special memories of Sault Ste. Marie, lighthouses and freighters. Surviving are: wife, Ruth Ann; 5 children: Mark (Chris) Bleisner of Chesaning, Marilyn (Michael) Boye of Milwaukee, WI, Michael (Jamie) Bleisner of Chesaning, Lisa (Dan) Brown of Chesaning and Eric (Tammie) Bleisner of Shakopee, MN; 12 grandchildren: Adam Bleisner, Jessica (Brandon) Nixon, Andrew Bleisner, Matthew Boye, Melissa (Jacob) Gennrich, Jacob Bleisner, Mindy Bleisner, Alyse Bleisner, D.J. Brown, Jenna Brown, Jared Brown and Taylor Bleisner; 12 great grandchildren: Joshua,Trevor, Zachary & Miranda Nixon, Blake, Brent, Bryce & Braelyn Bleisner, Isabella & Aubrey Gennrich, Keegan Kelley and Emery Bleisner; sisters: Elaine (Chuck) Sadilek of Brant, Joyce Collard of Owosso, Jean Devereaux of Brant, Carol (Phil) Schmiege of Oakley; sister-in-law, Priscilla Bleisner of Oakley; many nieces and nephews. He was preceded in death by: his parents; two brothers Paul in 2016 and Jack in 1973. Pastor Joel Thomford will officiate the funeral at 11 a.m. Tuesday, April 2, 2019 at Zion Lutheran Church in Chesaning. Burial to follow in Wildwood Cemetery. Visitation will be at the Misiuk Funeral Home in Chesaning on Monday from 1-8 p.m. and at the church on Tuesday from 10 a.m. until time of services at 11 a.m. Contributions in his memory may be made to Zion Lutheran Church and School. You may light a memorial candle or share a memory at misiukfuneralhome.com.